Heather Hower and her family on a hike! Who am I without Ed? This is a question that I used to ask myself a lot. Apparently, this is a question that many of us in recovery from eating disorders as well as other mental illnesses, like PTSD, end up wondering about. Our illness can essentially hijack so much of life. Our illness can even become our voice, as my dear friend and colleague, Heather Hower, eloquently points out below. If you feel lost in your illness, I highly encourage you to read Heather’s inspiring words below. Even though anorexia nervosa, OCD, PTSD, and other mental illness attempted to rob her of dreams, passions, and love, Heather got help. She kept walking. She recovered. Thanks, Heather, for this beautiful contribution. To submit your own Dream Big story, please click here. When I was growing up, I was very good at doing what was expected of me, and I did not give much consideration as to what I would like to do. Part of that is developmentally appropriate, but a large portion was attributable to my fear about not being the “perfect” child. I was very overanxious (generalized anxiety disorder), and attempted to calm my fears through compulsive behaviors (obsessive compulsive disorder). When that didn’t work, sheer terror would break through in the form of panic attacks (panic disorder). Unfortunately, a series of traumas began when I was very young, continued through my adulthood, resulting in posttraumatic stress Disorder (PTSD). Until recently, though, I was afraid to speak about it. Given all of my anxiety, the pressure that was put on me to be an A+ student (I was third in my class), and to be a pre-professional ballerina (I was a finalist at the Paris International Ballet Competition), my dream growing up was actually to be “normal.” I looked around at my peers, and they had groups of friends that they were able to spend time with, boyfriends/girlfriends, after-school sports, jobs, attended proms/homecomings, and went on regular family vacations. My ballet schedule was such that I practiced every day for several hours a day, so there was no time left outside of school and homework for anything fun. It was a focused, but lonely, life. My anorexia nervosa (AN) developed when I was 12 years old due to the usual combination of genetics (family history) and environment (ballet was my trigger). Restriction, low body weight, and maintaining your pre-pubertal shape were encouraged at my ballet company. Often times, what you looked like was more important than how you danced. I remember I had a picture taken of me when I was 12 in a pose (arabesque), and when I was 17 in the same pose, and I looked exactly the same, which was the point. I was good at dancing, but I was really miserable. At the end of high school, I wanted to go to college like everyone else, but my ballet coaches pressured me to dance professionally. This only lasted a few months, though, as I collapsed from my AN and had to return home for inpatient hospitalization for the better part of a year. Reflecting back, my body (through anorexia nervosa) spoke the words that I wasn’t allowed to say out loud; I’m ill, injured, emaciated, anxious, depressed, lonely, overwhelmed, confused, and angry. I was able to attend college (Brown University), joined the sailing team, lived in a fun co-ed fraternity, made new friends, and majored in psychology. I knew that I wanted to help others who struggled with mental health issues, and that I would need to pursue a graduate degree. Though I had made great strides towards the “essential me,” my AN was still strong, and I required another inpatient stay. Fortunately, as I transitioned into partial hospital, I was able to reconnect with a friend (Lee), and our relationship turned serious quickly (few months). He asked me to move to CA with him, and I said yes! It was the biggest leap of faith that I took up until that point, and I allowed myself to think about what it would be like to start a family. Read Heather’s blog about recovered eating disorders professionals and the stigma here. It took several more years for me to recover from my AN, and Lee was very supportive throughout the entire process. It reaffirmed to me that he was the one for me, and when he asked me to marry him, I also said yes! His family is wonderful (best in-laws ever), and I truly feel blessed to be a part of it. Three years ago, we welcomed our daughter Summer, and now I can’t imagine my life without her. This all wouldn’t have been possible if I still had my AN. My dream evolved from being “normal” (no small feat given my upbringing) when I was ill, to imagining a life where I was healthy, had a loving family, helped others with their mental health issues, and enjoyed the little things, as well as the big moments, as I moved into my recovery. I’m glad that I challenged my anorexia nervosa, dared to dream big, and made the life changes that I wanted. Discovering the “essential me” has been difficult, surprising, exciting, and ultimately rewarding. 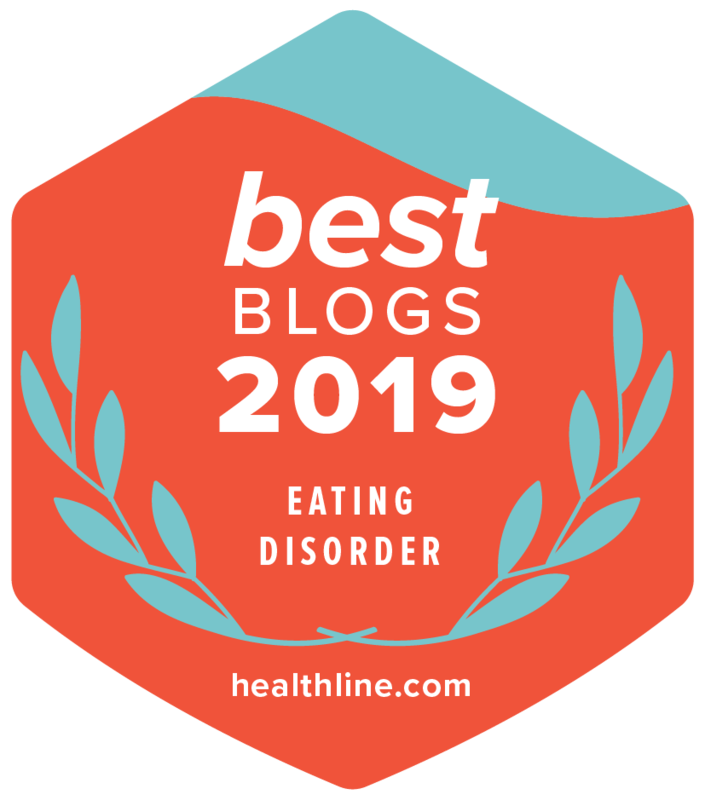 To learn more about Heather’s inspiring story, check out more of her writing on the National Eating Disorders Association’s website.